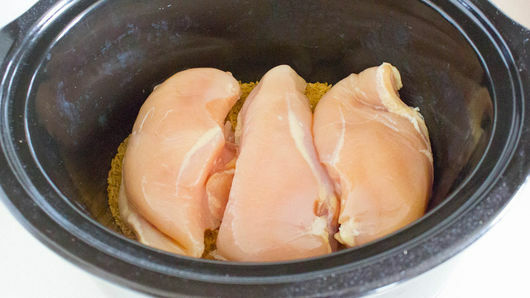 Pour 1 carton (32 oz) Progresso™ chicken cooking broth (4 cups) around chicken. 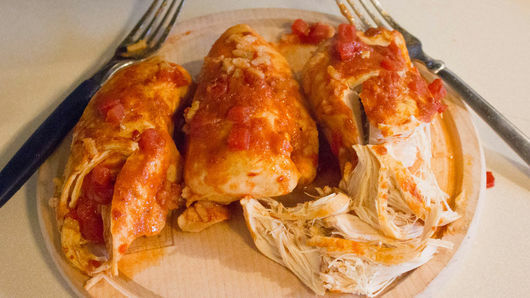 Add 1 can (14.5 oz) Muir Glen™ organic diced tomatoes, undrained. 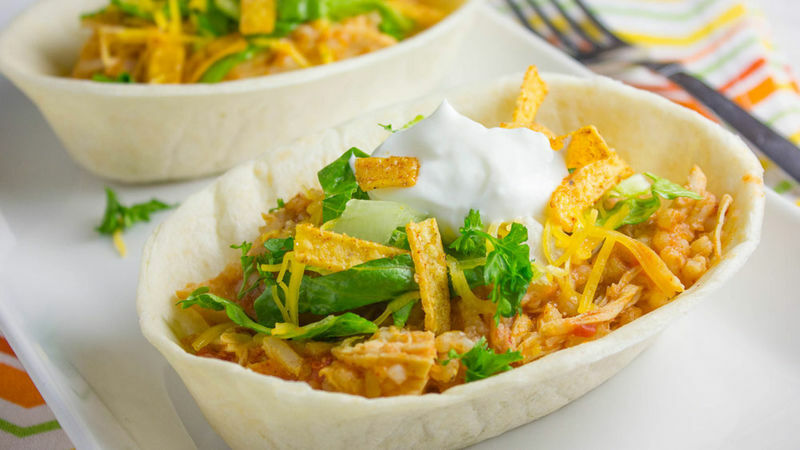 Buy Old El Paso™ soft tortilla taco boats dinner kit that includes the taco seasoning mix, taco sauce and taco boats. Prepare your favorite toppings while the meal is cooking so everyone can help themselves!